Blissful and Domestic - Creating a Beautiful Life on Less: Menu Plan Monday: Hearty Bean and Vegetable Soup, Apricot Chicken, Sweet and Sour Chicken, and More! Menu Plan Monday: Hearty Bean and Vegetable Soup, Apricot Chicken, Sweet and Sour Chicken, and More! 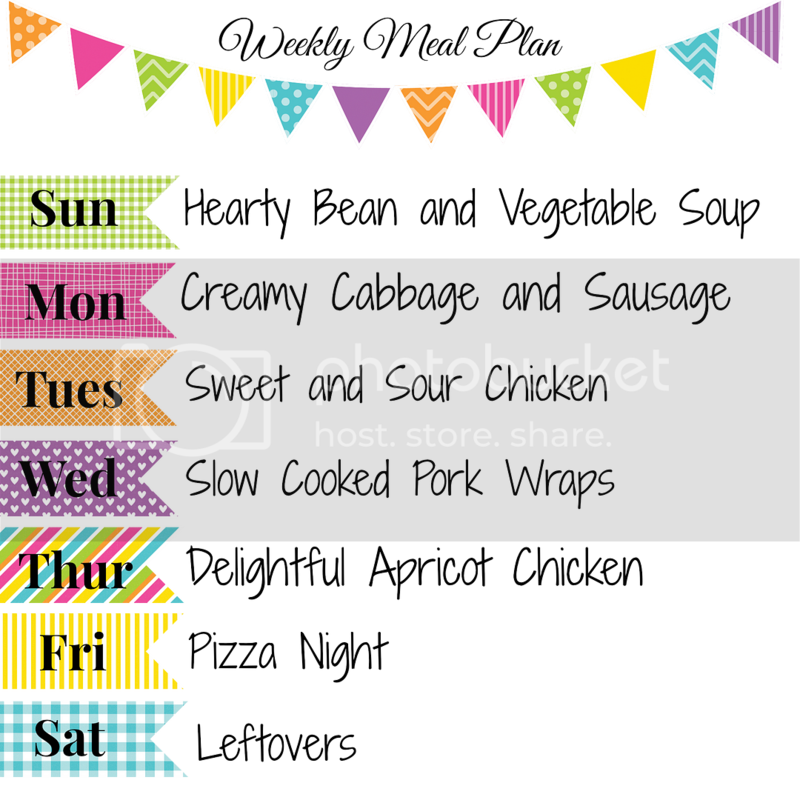 This week's menu plan is full of pure goodness. Oh and there's even greater tips to make your groceries stretch and work for your family! From Sweet and Sour Chicken to a scrumptious Crock-pot Apricot Chicken Dish, you will not be disappointed. So check your pantry, make your list, and plan your meals for this week. Like all menu plans, this one is printable for your convenience and includes all the recipes too! Have a fabulous day lovelies!